Exercising can be very difficult, especially when you do not get the desired results within a short period of time. If you feel as if you have been exercising to no avail, Chanhassen personal training can help you. When you use a personal trainer, you will reap many benefits that you could not get by exercising on your own. A personal trainer is trained in understanding the proper exercises to help your body achieve your desired results. Since everyone has different goals and different body types there is more than one way to exercise. Unless you have gone through extensive training to understand these differences, it pays to hire a personal trainer to consult with you on the best way to achieve your goals. A few of the most common goals are to lose weight, lose inches or just to heighten your physical abilities. Chanhassen personal training can devise an individualized exercise plan that will focus on those exact goals. The exercises to lose a large amount of weight are much different than those that are geared towards training for a marathon for example. 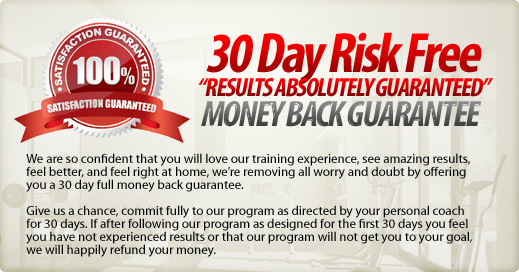 When you trust a personal trainer to devise your exercise plan, you will see your desired results much faster. Variety ? It is very easy to get bored with the same workout everyday, whether you do a choreographed routine or workout on the same machine at the gym, your mind and body get bored. Eventually your body will stop responding. A personal trainer will add the required variety to your workout so that no part of your body gets bored. Results ? Typically those that use a personal trainer see results much faster than those that exercise on their own because of the personal trainer’s expertise in these areas. If you desire fast results, Chanhassen personal training is a good choice. Proper Exercising ? Anyone can exercise, but that does not mean that everyone is exercising the right way. When you exercise incorrectly not only does your body not respond, but you put your body in harm’s way. Serious injuries can result from exercising improperly, which is why using a personal trainer can help you learn the proper way to exercise. More than Exercise ? A personal trainer is trained in more than just how to exercise. They are interested in your overall health. After all no matter how hard you work out with your personal trainer, if you go home and eat too many calories or too much sugar, the workout was pointless. A personal trainer will inform you on a proper diet as well as supplements to take for optimum health. Using Chanhassen personal training is a great way to ensure that you are doing the proper exercises the right way. Whether you are trying to lose weight or just increase your physical health, a personal trainer is one way to guarantee the results that you desire.